This is possible the all time greatest preaching text. As a congregant said on the way out, it is time to fix some bones. Yes it is. And we can’t do that. But the Spirit does. And not only does he fix them, he breathes life. I’m sure I can say more, but if there is one sermon I’d let speak for itself, it is this one. The picture above is our confirmation class. 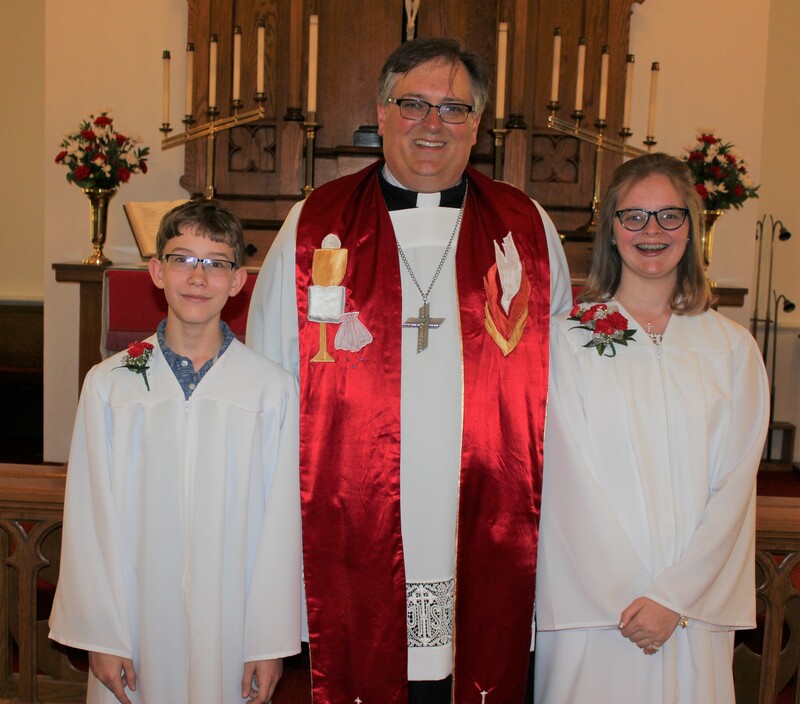 Today was both Pentecost and our Confirmation day. Both of those things are closely connected to baptism, so that makes an appearance. This sermon is roughly divided into two halves. The first half is the Pentecost and Confirmation as a day portion. Why do we observe these things? What do they do? How do they relate to the gospel? The second part is more specific to the confirmands. I went old school and instead of letting/demanding that the confirmands choose a verse, I assigned them one. That verse becomes both a charge and a blessing – the old duties of a bishop, to teach and to bless. That second part is where the title comes from in preaching those confirmation verses. 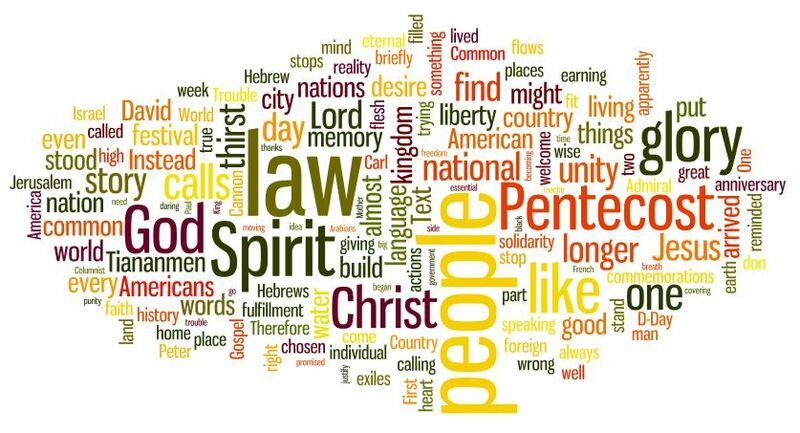 There were several events that kicked off this sermon that are meaningful as Americans, but what Pentecost is a reminder of is that the City and the Unity we thirst for is not found in the Kingdoms of the world – those established by law. The City we long for is the City of God. The entrance to the City of God is Calvary which is the nullification of our self justifications our attempts to earn it. The citizenship we thirst for is only available by grace. Here is the link to Carl Cannon’s article mentioned in the Sermon. Poor Pentecost, it is one of the three High Holy Days of the Church Year (Christmas, Easter and Pentecost), and yet it is the one that often gets forced to share its celebration with a secular holiday. A couple of years ago it was Mother’s Day. This year Memorial Day. In a odd way though that might be appropriate. The Spirit doesn’t call attention to himself. The other thought is that its really hard to make a materialist celebration out of the Spirit. Putting those thoughts aside, the juxtaposition of Memorial Day and Pentecost makes for some tough but I hope enlightening comparisons. The driving force of memorial day is to hallow something, to make it holy. The graves of soldiers who died fighting the nation’s ware we have a good and natural desire to make holy. The problem is that our efforts still are over the dead. Even the most powerful and permanent of our memorials have limits. These too will pass. 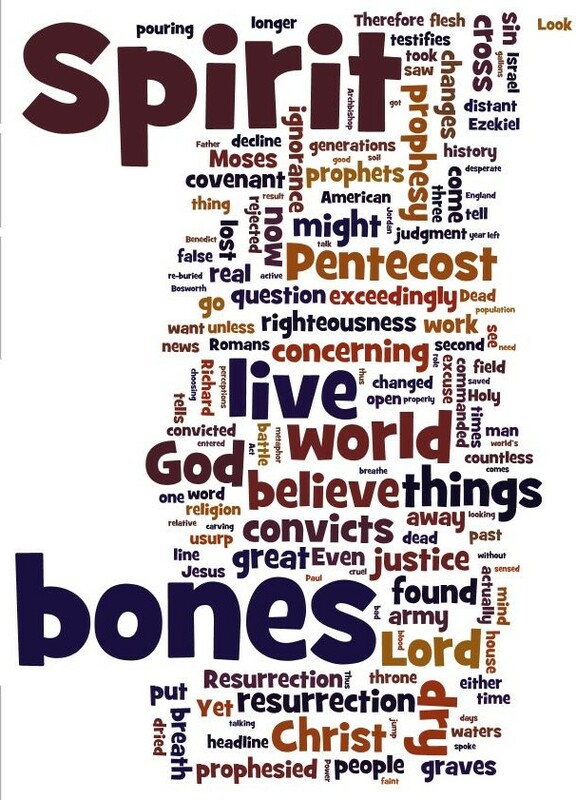 But Pentecost, the work of the Spirit, is not to make dead tributes but living stones. It is the work of the Spirit that sanctifies our efforts, gives them life and turns them to the glorification of Christ who released us from our dead stone. We confirmed four this weekend. They confirmed their baptism through a public confession of the faith. They also received their first Lord’s Supper. What does this mean? My parents want to see this and I’ll get some good brownie points…or…God has acted on me and in me through his Word. From a pastoral point of view – that is the maddening nature of the gospel. It is thrown to the wind like the seeds. Some of it takes root. Other seeds quickly die. And there is little that a pastor can do. You teach, you encourage, you proclaim, you point to the cross, and you pray. But each individual has to answer what does this mean for themselves. On reflection this might have been a better sermon for Trinity Sunday, but the text was John 15:25-26 and John 16:4-15 and that came up on Pentecost. The core statement is that we moderns just don’t biblically undertand the Spirit or the personhood of God. We push Father, Son and Spirit together into a giant gnostic generic Spirit-God. When you do that, your God ends up looking like you and not like He revealed Himself in the Scriptures. Specifically the Holy Spirit is not a mushy person. His first job is to convict the world: To convict it of sin, convict it of true righteousness, and convict it of who is the judge. After that conviction, the Spirit leads His people into all truth. A great text pointing to law and gospel. First we are convicted by the law and then restored in truth by the gospel. 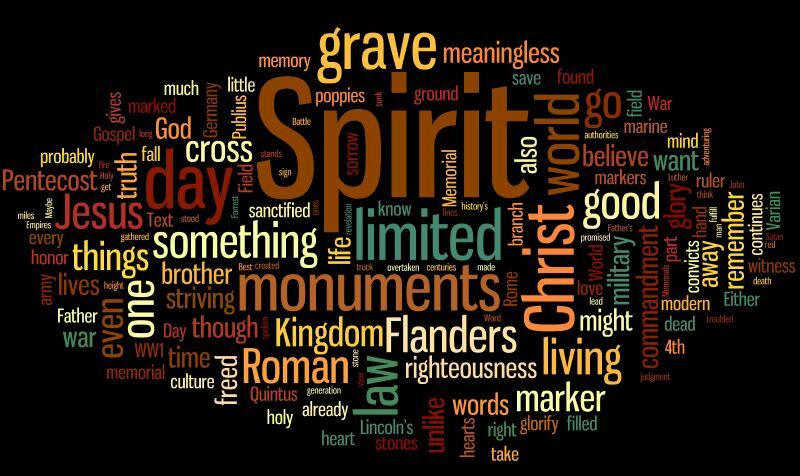 The Spirit does this through His means of Word and Sacrament through that fuddy-duddy place called the church. The adversary tries to sow a bunch of FUD becuase we’ve mushed the persons together. He tries to get us to find the Spirit everywhere but right there in the Word and Sacrament to the point we often denigrate the gospel offer thinkning God can’t really be there. But God keeps his promises. 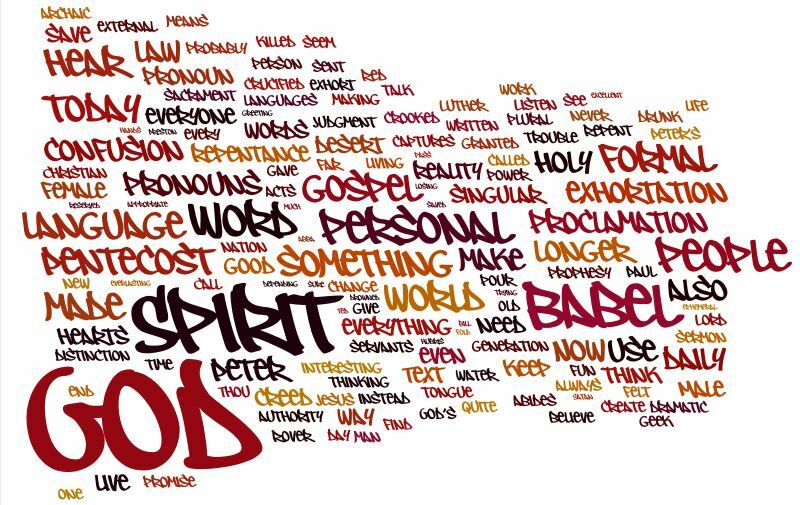 He’s there in that Word, Water, Bread and Wine.